Join us for a spring weekend June 7-9th, 2019, to explore the rich and vibrant culinary and cultural landscapes of Michigan! Curated for Tiny World Tours by Edible Austin magazine founder Marla Camp, this unique behind-the-scenes, food-focused adventure features both the Ann Arbor area’s emerging farm-to-table culture and Detroit’s bustling historic and revitalized Eastern Market district, with an immersion in urban art and architecture and a guided highlights tour of an arts institution or collection. 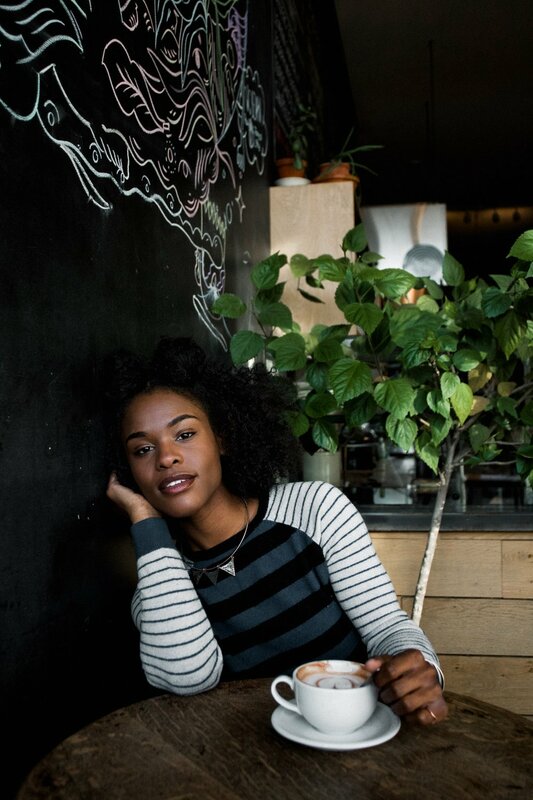 Marla Camp is a journalist, artist and food enthusiast who believes that the power of local food can build community and affect change. Our adventures will formally begin mid-day on Friday in downtown Ann Arbor. (Alternatively, you can arrive at the Detroit airport and shuttle directly to Ann Arbor.) Join Marla for a stroll of local-sourcing food markets including Ann Arbor's famed Zingerman's Delicatessen (with lunch on your own if desired). 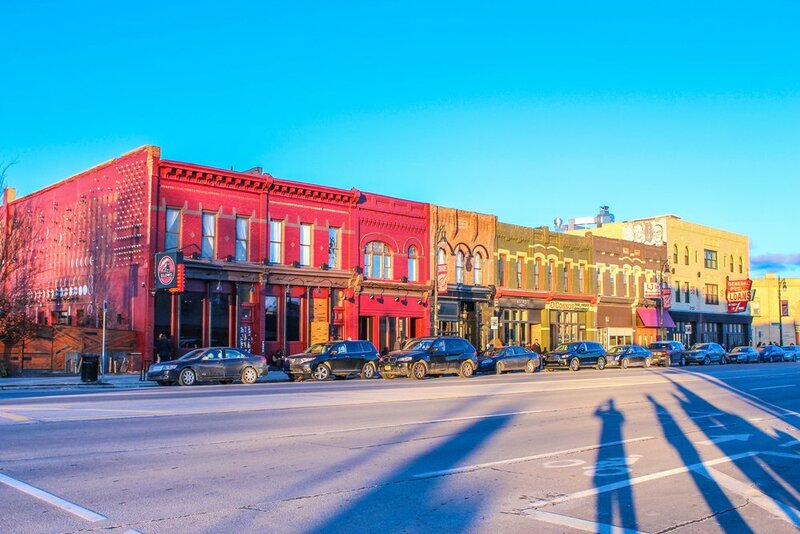 Or take the afternoon to explore Ann Arbor's fascinating campus and downtown neighborhoods with shopping and grazing opportunities galore on your own before dinner. We will dine Friday evening at an acclaimed premier farm-to-table restaurant in Ann Arbor. We will enjoy an unforgettable multi-course Chef’s Tasting Menu with wine pairings inspired by the fresh flavors of local farms and farmers’ markets. Our hosts will explains the philosophy and passion behind this exceptional restaurant. 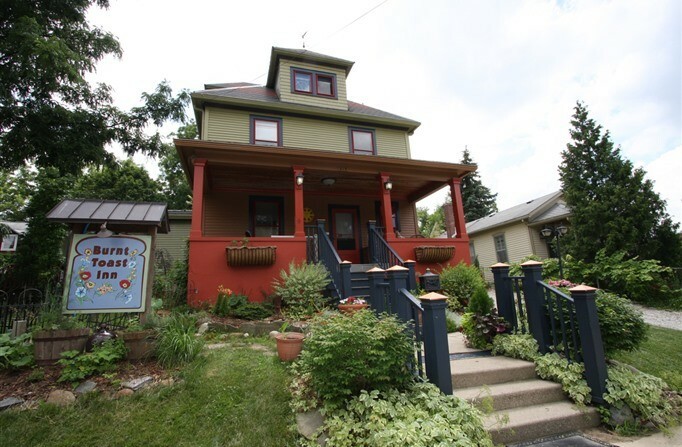 We will be staying both nights at a quintessential bed-and-breakfast located in the heart of downtown Ann Arbor. We will enjoy farm-fresh breakfasts and eclectic surroundings to start and finish off our fun-filled days. Saturday morning we’ll head off to Detroit with a stop in Plymouth on the way to tour the iconic Coffee Express Roasting Company, founded in 1982. Owner and coffee-roasting master Tom Isaia will give us an aromatic tour around the world of coffee, with tastings and stories of how he has connected with and learned from coffee growers all over the globe—and how each is a unique product of their very local eco-sphere. And we’re in for a very special treat--true to his Italian roots, Tom has recently returned from Italy with state-of-the art gelato-making equipment and skills and will share insights into this new enterprise with us along with a very special coffee-gelato fusion delight. 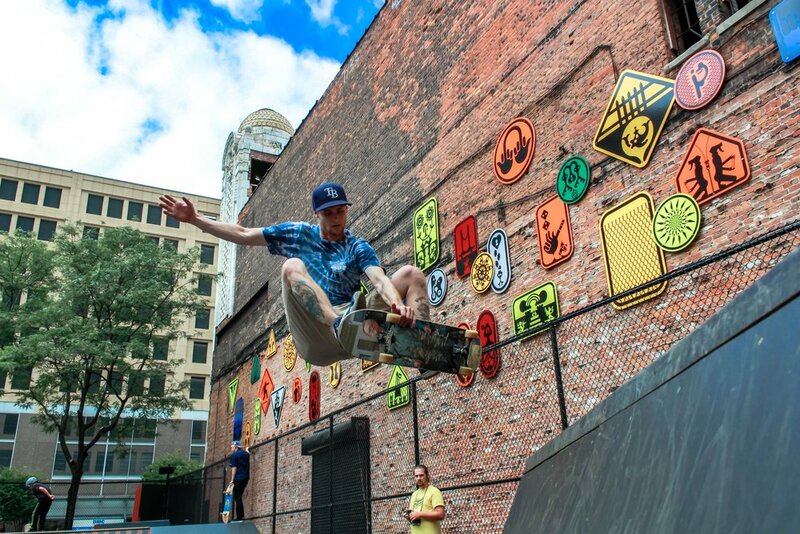 We will head on to Detroit for a curated exploration of Detroit’s vibrant and historic Eastern Market. Since 1891, Eastern Market has been the heartthrob of Detroit’s commercial district, serving businesses and local consumers alike, and is the largest commercial public market district in the United States. We’ll get a behind-the-scenes tour of the market, meet the vendors, and enjoy plenty of delicious local tastings along the way. The district also has a more than 150-year rich history of art and culture. 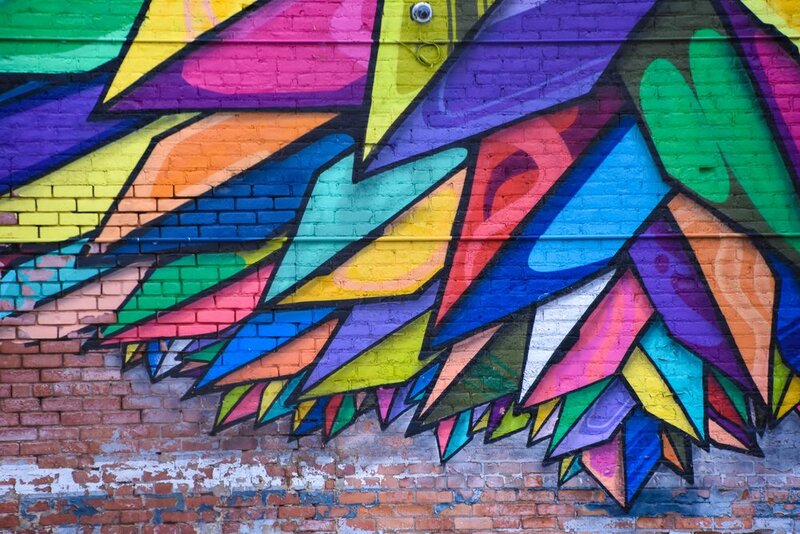 We’ll experience the latest infusion of this with a tour of Murals in the Market, which over the past three years has transformed the area into a must-see destination for art as well as food lovers with over 125 murals created by Detroit’s stellar street artists. To put contemporary murals in a historic and international art context, we’ll make a pilgrimage to an notable art museum, gallery, or private collection. That evening, we will wrap up our Detroit adventure an award-winning restaurant for a seasonal, farm-to-table dinner with wine pairings and chef talk. The fare, inspired by a love of fresh, local flavor, is probably best described as “New American small plates.” Rather than being beholden to one cuisine, the focus is on providing delicious, rustic, fun food to guests which, since it’s a seasonal restaurant, changes (almost) as frequently as the weather. On Sunday morning, after a refreshing breakfast, we’ll visit one of the area’s thriving sustainable local farms for a farm tour to see first-hand how those delicious ingredients we’ve been tasting on the tour are grown in abundance this time of year. Located in rolling hills about 20 miles west of Ann Arbor, Tantré Farm has been a certified organic farm since 1993 and has grown to 115 cultivated acres of wetland, woods, and sandy-loam fields. They grow strawberries, raspberries, blackberries, pears, and melons as well as 80 to 100 varieties of vegetables and a small variety of herbs and flowers. They also are home to a flock of chickens, a few pigs, and a small herd of dairy cows along with their farm dog and cats. 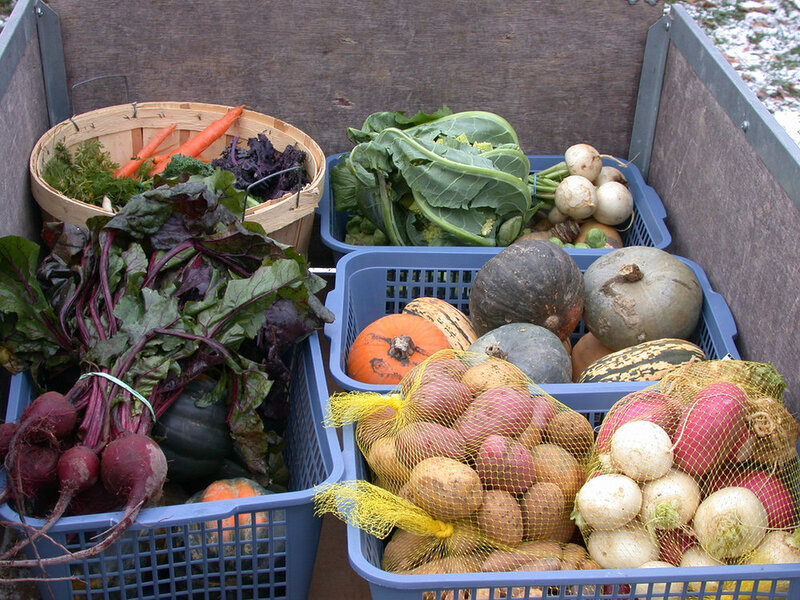 They sustain the farm by selling their produce through CSA shares, at various local stores, restaurants, and also at the Ann Arbor and Chelsea Farmers Markets. Richard Andres and Deb Lentz, along with their daughter, Ariana, live on-site year round. 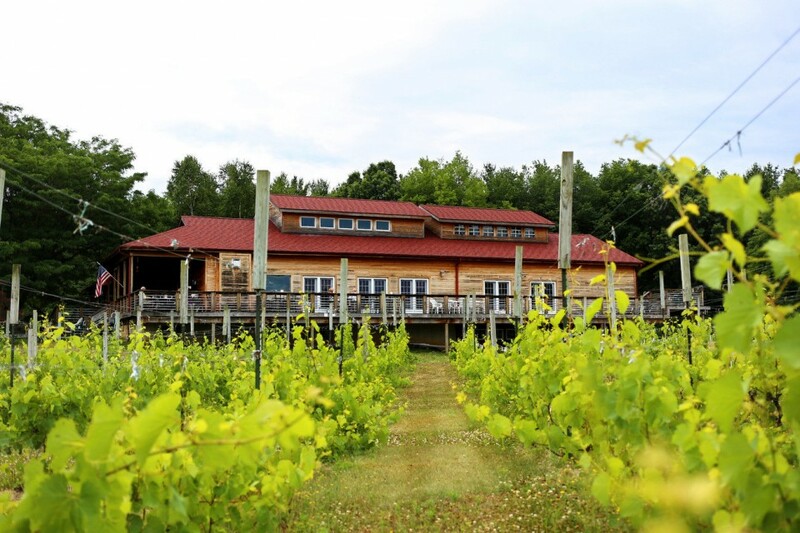 The finale of our weekend is a satisfying lunch with wine tastings at one of Michigan’s top-rated wineries, Sandhill Crane Vineyards. Family owned and operated, they use only the finest local produce for their handcrafted wines, made right on the premises. The winemaker is known for her wide range of clean, rich, complex wines. Made lovingly in small batches, the tasting list includes well-balanced acidic white wines, rich reds, flavorful fruit wines, and delicious sweet-tart dessert wines. This will make for a lovely and relaxing finish to our tour and prepare you for your memory-filled journey home. The total in-Michigan portion cost of this experience (lodging, transportation, meals, guides, entrance fees, etc) is $1,200 per guest (double occupancy. Single travelers wishing to have their own room please inquire about additional cost and availability. Participants arrange their own transportation to/from Ann Arbor, MI or DTW Detroit Metropolitan Airport, with opportunities for trip extensions (advice provided upon request). Join us for a feast for the senses! * itinerary subject to change according to unforeseen circumstances / opportunities.